Travel with Children is challenging enough! We’ve all seen it; the frazzled mom, the frustrated dad and the screaming child on the plane or the mom carrying a toddler in one arm with a bag in the other rushing with dad following carrying a car seat over one shoulder, another child over the other with a booster seat in hand. 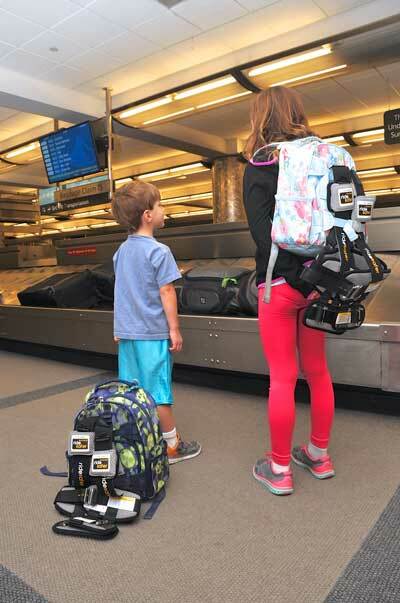 To a lot of parents, just the thought of traveling with their children makes them want to stay home. I mean from all the stuff you have to bring to the hectic security lines; from the making sure you remembered the favorite blankee to trying to fit a car seat in an unfamiliar rental. I’ll just say it, to travel with children is stressful. We love to travel. We wanted our children to grow up traveling with us to see different parts of the world. We have taken them on far-flung adventures as far as Fiji. Our kids (only two of them then) were 4 and 2 (almost 3). By that time, they had already been on airplanes several times — we flew with all of them at only a few months old. And since then they have become quite the little travel pros. They are great travelers. But stress-free travel has to do with more than them learning the ropes. Over the years we have learned a good deal about keeping travel easy. For one, plan ahead. This is easier said than done when you are married to someone who likes the idea of it but seems incapable of actually doing it. Have everything packed and ready to go with a written list of what last minute things need to be done prior to leaving. With children make sure to have some snacks on hand in your carry-on, don’t plan on getting some thing at the airport just in case. We keep our toiletry kits pre-packed, one for if we check bags and one ready for carry-on bags. For two, bring only what is necessary. With children there’s enough necessary items to bring without adding in unnecessary ones. Our children have to bring their stuff in their own backpacks and have to be able to carry the backpacks themselves. And if we do carry-on, they wheel their suitcases through the airport. They also carry their own “car seat”. 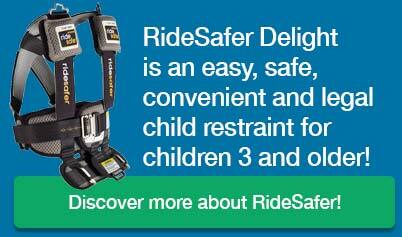 They use a RideSafer Travel Vest which is lightweight and they can just attach to their backpack. The vest is a booster seat alternative which is easy, safe and convenient especially for travel with kids. For three, keep calm. This may be the biggest tip to stress-free travel. Stuff happens, delays happen, lines happen, junky food and skipped naps happen. Just realize it happens and it’s only a day in your life. Keeping a positive attitude and remaining flexible will help your children do the same. Traveling is an adventure, especially for children, let’s keep it that way. Buy Today And Be Ready for your next trip!